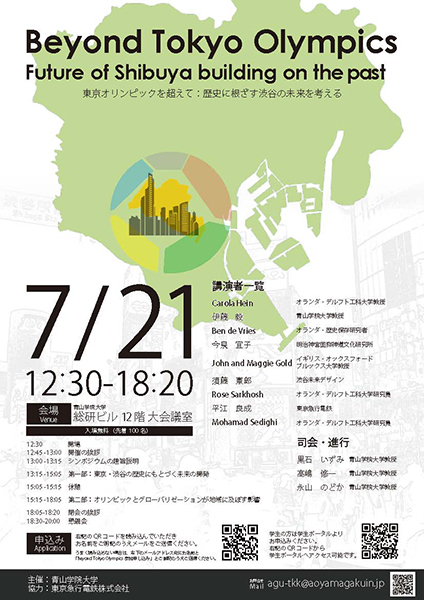 Prof. Takeshi ITO will make a lecture at the international symposium “Beyond Tokyo Olympics Future of Shibuya building on the past” on 21st July. For datails, see the poster (in Japanese). Prof. Takeshi ITO retired the University of Tokyo in March 2018, and took a post as professor at Aoyama Gakuin University in April 2018. This website continues to inform you of his research projects.